Today, we’re happy to announce several new features and enhanced services for Ooma Telo that connect the gap between traditional home phone services and smart phone functionality to fit your mobile and digital lifestyle. New additions to the product and services lineup include Ooma Pure Voice™, High Definition Voice, mobile phone calling with the iPhone or iPod touch, Bluetooth support, Google Voice Extensions and voicemail transcription. These new features offer the most complete VoIP home phone solution that extends Ooma’s crystal clear call quality, significant cost savings and ease of use beyond the home and into your mobile and business calling landscape. All new features will be available in the first half of 2010, and will be on demonstration today through January 10th at Ooma’s booth at CES, Grand Lobby GL-7. Specific details for each new feature and service are available in the press release. Will any of these features work with the older Hub? Will the Google Voice Extensions be released for the original Ooma hub? Ooma + 15$+ 2 year fee = no customer for you. I just bought Ooma hub! and have premier because I was promised google voice features would be on the HUB! you better be releasing for hub, and keeping it updated..or you are going to get a lot of angery customers leaving premier and ooma soon.. please please..follow google’s moto and “don’t be evil” thank you! That’s all you have to offer and say! I am sorry, very disappointed with the post. Where can I go to get the “mobile phone calling” app for my iTouch? This is great news! How about iphone support and google voice support for OOma Hub? We want Google voice extensions and other upgrades on our ooma Hub systems… why else should I keep paying for premier, all I want is Google voice for my ooma hub, and other upgrades, features. Please don’t let us down. -thanks. How can you guys morally sell this product now and still advertise it as “free for life” , its not free for life and you all know it. Get rid of this ridiculous 15$ bi-yearly fee! When will the Pure Voice feature be available? And will it use less bandwidth or more? I understand that it might not be technically feasible to port every new Telo feature to the Hub. However, I would expect Ooma to at least attempt to support their earlier products for a at least a few months after a new product is released. For example, is there any technical reason why voicemail transcriptions cannot be supported on the Hub? When it comes to GVE, we were earlier told that GVE would be supported on the Hub, and this was one of the main reasons why I decided to purchase it. I will wait and see how this plays out, but the short story is that I will be returning my Hub to Costco unless Ooma resolves this issue in a satisfactory way. It would be nice to have the ipod/iphone app work with the hub, rather then incentivizing an upgrade to the telo. We are the older generation customers that boost your business with word of mouth recommendations for ooma, and Hub units are still being sold at the moment. Besides who really wants to upgrade a phone system that costs $200. Computers are understandable but Ooma? You guys have your niche/business model and for most of us customers its a one time purchase. Its an awesome service for the price in my opinion. So lets keep it awesome without having to buy the latest greatest hardware for something that could be easily set up for Hub users. Lets face it we have become a mobile society and honestly landlines are becoming increasingly obsolete. I’ve had my Hub for 4 months and have saved $80 so far. Thats really sweet but Im not ready to dish out another $200 for hardware to access these new awesome features. Thanks for considering my 2 cents. I hope you guys decide to dish out some of this awesomesauce for us loyal Hub users. We will repay you many fold with awesome word of mouth. you know, im one of your biggest fans, having recommended you to over 15 of my family members and friends, but i have to say i am so disappointed at the fact that all these new features are granted to Telo users and not Hub users (the ones who took the risk when you were first starting out and supported you). Yet another example of corporate hijinks and in the end, us customers get screwed. Thanks for nothing. I might just stick to google voice. I have had Ooma for two years and have enjoyed every minute, everyone has ups and downs, however measure it by the successes, I haven’t had a home phone bill in years – pay the annual subscription for wonderful features and your home phone comes alive. I feel like many of the people replying here are being a bit whiny. A company needs to find a way to continue to make money from its current customer base if it is going to stay in business. As long as you continue to get the service and features that were offered when you purchased your Ooma hub, then you should have nothing to complain about. I have owned my Ooma hub for a year and that is how I feel. My advice would be for Ooma to continue to provide free software upgrades to fix any bugs identified, but to find a way to charge a fee for any downloadable software upgrades that add new features or services to the Ooma hub. That way, each Ooma hub owner can decide on their own if the new features are worth each one time fee. A good example of this would be for using Google Voice with Ooma. This was not promised to me when I bought my Ooma hub, so I expect I should have to pay something additional for this new feature. That is my two cents. Adios. I have enjoyed Ooma for over a year now. The new feature “mobile phone calling with the iPhone or iPod touch” sounds fantastic. Just be sure to include Apple’s new iPad as well. If I buy a Telo today, is the new Bluetooth support feature already inside? as in the actual hardware, or will this mean a new box? 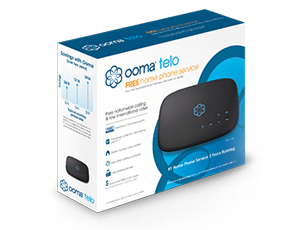 Maybe the Ooma Telo BT ? so using your logic, Apple should also charge for software updates to the iPhone that enable new features or services to the phone, like MMS or Exchange Support? Most of us Hub users already pay the annual fee and it really shouldn’t be about nickel and diming your first and loyal customers, but should be about creating a product that is innovative enough to attract new users and pulling in revenue that way. I have to say, as a recent Hub buyer (the Telo wasn’t even out when I bought this in November) I feel swindled. I haven’t had it long enough to get my original purchase price back and yet here they are making new features available ONLY to the new hardware 4 MONTHS after purchasing their system. C’mon guys, this is not a good business practice. Why has the iPhone been successful? In large part because they offer backwards compatibility with the 1st generation. Same is true many other successful business models. I can understand wanting to get the new features on the new systems first, so delay the rollout by 90 days or something. Bottom line is I’m a VERY unsatisfied customer when you tell me all the features you promised (links provided earlier) are now only available on hardware that wasn’t available when I purchased the Hub (and those features were discussed.) C’mon guys, surely you can see the frustration and bait-and-switch at play. Give me a way to upgrade at no cost and I’m in. I’ll do that, heck like I said I haven’t even had it for 4 months. Somehow I doubt that’ll happen. How can anyone complain that the Hub they bought before the new Telo cam out doesn’t have the features being offered on the Telo? I mean really, if you buy an iPod, then a few months later a new iPod comes out with more features and upgrades, do you get all mad about that? No, you go out and buy the new iPod, even though it basically does the same thing as the previous one, which is play music. Anyone who bought the Hub the last few months of 2009 knew the Telo was coming out in November or so. Thre is no excuse for not realizing this. Also, those who bought their Hub at this time were also getting great deals on it too, and many did this instead of buying the Telo because they didn’t want to pay more for the new model. Well, guess what, the new model has more features making the extra expense worthwhile. @goober – the March press release for GVE clearly stated the GVE would be available for “current and future systems” Ooma lead many people to believe that GVE would be available on the hub, and now, they have abandoned Hub users. I am very disappointed in Ooma. I have 2 ooma hubs with premier and would second the above comments. I would like to have the Google Voice Extension work on the Hub. The company promised this and should deliver. This is part of customer retention which translates to lifetime customer value. If it cost too much then charge for it but make it available. I’m not complaining. I pay $230.00 plus tax for the hub, not the telo. It will take about 7 months to reach when then it becomes free phone service because I was paying $35.00 for landline phone service. Then when they keep there promise for never ever again having to pay for phone service because I’m one from there first customers, the reason for the hub and not the telo. Then when they prove that they keep there promise after about 7 months to a year after when it really becomes free phone service, as a very thank you I will upgrade to what ever new gadget they would have at that time. I will also say that I have recommended to friends at work. I know some have bought the telo not the hub already. So so far I’m getting what I bought it for, no phone bill. Thank you ooma. 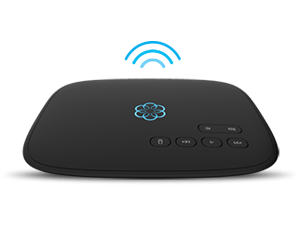 I would also ask ooma could they make a 1 watt router with voip service, that I will buy. Of cause it will have to be at a reasonable price. we have a recession plus depression. Wishing you total success ooma. Again thank you ooma. Love the telo…not crazy about the telo handset. No synching of contacts, no jack for headsets or blue tooth capability with the telo handsets. My 10 year old Seimens POTS system has more capability in the handset….especially when it comes to sharing contacts, phone jack etc. 1) CHARGER STAND IS NOT LARGE BUT IS POORLY DESIGNED. IF YOU BREATHE HARD ON IT THE PHONE FALLS OUT OF THE CHARGING STATION. 2) NO HEADPHONE JACK OR BLUE TOOTH…..COME ON…..REALLY? 4) CONTACTS…why in the world have you guys not figured this out. 5) I am afraid that OOMA will release a new handset very shortly and leave me with two 49 dollar paper weights. I think perhaps once you get a real handset you should have a fair trade in program. 6) Intercom….doesn’t work…not activated yet? Despite my negative feedback on the handset I am a Ooma fan but am hoping my loyalty will be rewarded with some quick fixes on the contacts synching and intercom and a solution to the handsfree situation…nobody likes speakerphones.